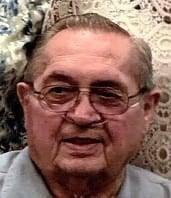 Dale A. Schang, 84, of Fayette, died Sunday, December 2, 2018, at Heartland of Waterville, following an extended period of ailing health. Born March 14, 1934, in Archbold, he was the son of the late Arthur and Edna (Gerken) Schang. A 1952 graduate of Gorham-Fayette High School, Dale worked a career as an ironworker, primarily for Gurtzweiler Construction. He was a proud member of the Ironworkers Local 55 of Toledo and Northwest, OH. Dale married the love of his wife, Ann Davis, on July 24, 1954, in Burlington, OH. She survives. He and Ann were members of the Fayette Christian Church-Disciples of Christ. He was also an avid Detroit Tigers and Ohio State Buckeyes fan. Surviving in addition to his wife of 64 years, Ann, are a daughter, Beverly Biddix of Fayette, OH; two sons, Brian (Kristen) Schang, of San Antonio, TX; and Mark Schang, of Wauseon, OH; sisters, Carolyn Kline of Mesa, AZ, Mary Heath of Fayette, Linda (Grif) Griffiths of Fayette, and Ruthann (Paul) Barnaby of Metamora; seven grandchildren; and 6 great-grandchildren. In addition to his parents, he was preceded in death by two brothers, Weldon and Larry Schang. The family will receive friends for a visitation on Thursday, December 6 from 2:00-8:00 p.m. at the Eagle Funeral Home in Fayette. A funeral service for Dale will be held on Friday, December 7, at 10:00 a.m. at the funeral home with Rev. Gene Sugg officiating. Burial will follow in the Pleasant View Union Cemetery in Fayette. Memorial contributions in honor of Dale are suggested to the Gorham Fayette Fire Department. Friends can share memories and words of comfort with the family online at www.eaglefuneralhomes.com. Be the first to comment on "Dale Schang (1934-2018)"